Palm Garden treats folks like family. We celebrate the life story of every guest, resident, and family member entrusted to our care by training and retaining team members as members of our own family. 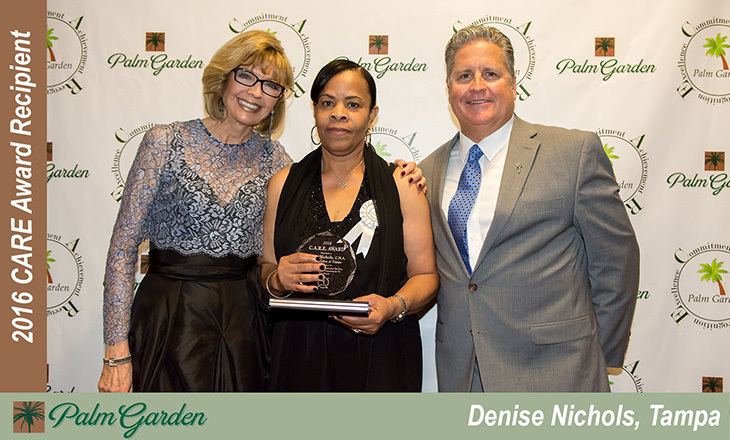 It takes extra compassion, but by learning about those life events that make each of us special, Palm Garden Team Members are able to offer a special kind of care. Based not on what we think our guests and residents would like, but on what they need as individual human beings. 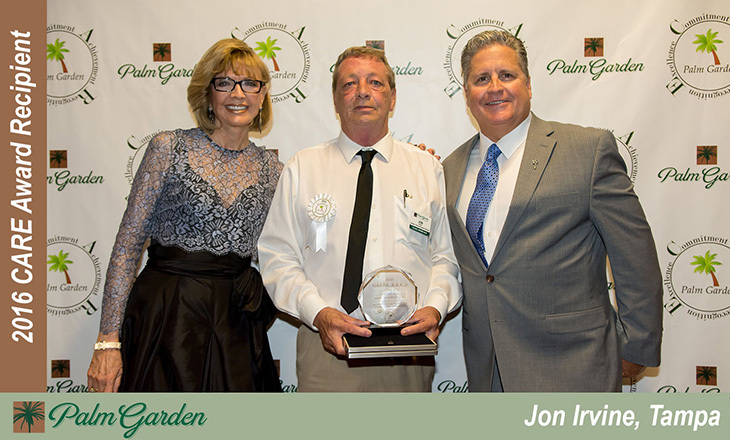 Palm Garden proudly announces its 2016 CARE Award recipients. We celebrate their commitment and their achievement. We recognize their empathy, love, and compassion. We celebrate their excellence in pursuit of respect, dignity, and service to others.